Korean family vocabulary can be a bit difficult to learn for learners of Korean. Even Koreans don’t know all the proper terms for family members. 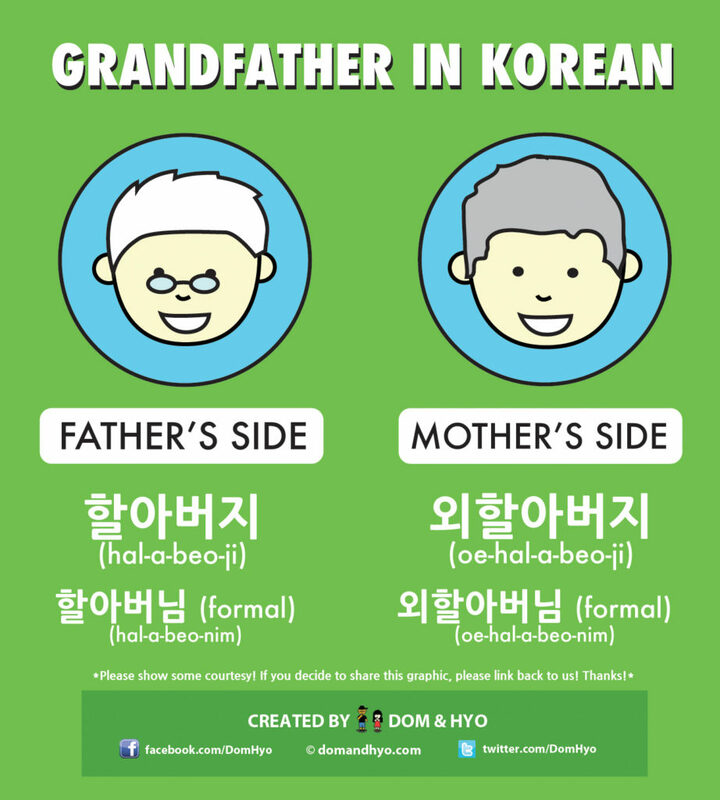 The reason being is that unlike in English where “grandpa” or “grandma” can be used for both sides of the family, that’s not the case for Korean. This applies to all family titles.